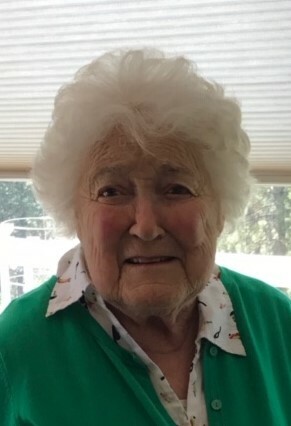 Rye, NH/Enosburgh, VT – In loving memory of Elizabeth B. Rawlinson, March 8, 1932 – March 31st, 2019, born in Woodford, England to Harold Timothy Fowle and Dorothy Fowle Blacklock. Elizabeth passed away peacefully at Webster at Rye, NH. She was predeceased by Richard Rawlinson and Sydney Sundell. Elizabeth emigrated to Canada in 1955 and married Henry Richard Rawlinson in 1956. They retired to Vermont in 1973 and in the early 80’s she became an American citizen. When her husband Richard passed away in 1988, Elizabeth took over Manimex, the Advertising Specialty business Richard started in 1960, which she ran for several years. Elizabeth is survived by her brother, Brian J. Fowle (Halesworth, England) two daughters, Caroline Rawlinson (Peter Cryans, Stratham, NH) and Diana Missroon (Bob, Morrison, CO), seven grandchildren, Hayley Parsons (Christopher James, Exeter, NH) , Gregory Scott (Marissa, Dover, NH), Julia Gould (Nottingham, NH), Christopher Missroon (Denver, CO), Michael Missroon (Thornton, CO), Ashley Dominguez (Carlos, Denver, CO), Kayla Missroon (Colorado Springs, CO) and six great-grandchildren, Isabelle Parsons and Daniel Parsons, William Scott, Cameron Scott, Alexander Scott and Cooper Scott. Elizabeth appreciated the beauties of nature, especially the birds and flowers. She had a passion for gardening, often working in her extensive garden from dawn to dusk. She loved to dance and was known to kick up her heels at a good party. She loved all genres of music including Classical, Salsa, Greek, Ragtime, and Mariachi to name a few. She was an extraordinary person with a wonderful personality. Wherever she was, people were happy and pleased to be in her company. She lit up a room. She loved to entertain, be it a dinner party or simply tea and crumpets. Elizabeth loved to be with friends and family. She was a wonderful cook and was infamous for her Chicken Elizabeth and her stewed fruits which were always served with English double cream and demerara sugar. Elizabeth was an avid reader and accomplished artist. Her love of people was beautifully captured in her oil portraits. While residing at Webster at Rye she displayed her artwork, which were greatly admired, in two art shows sponsored by the facility. Elizabeth was an active member of St. Mathews Episcopal Church in Enosburg Falls, VT. She left an indelible mark on all she came in contact with near and far and will be greatly missed. May she rest in peace. God bless her. 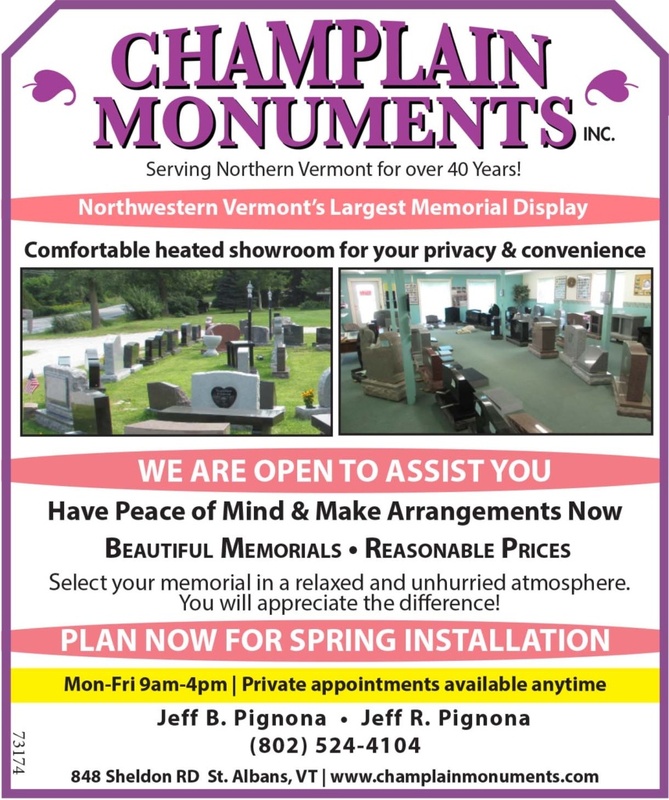 Services: A time of visitation will be held from 1:00 – 2:00 PM on Saturday, April 13, 2019 at the J. Verne Wood Funeral Home – Buckminster Chapel, 84 Broad Street, Portsmouth, NH 03801. A Funeral Service will follow the visitation at the funeral home at 2:00 PM. A private burial will take place in Montreal, Canada at a later date. In lieu of flowers, memorial contributions may be made to: St. Jude Children’s Research Hospital, 501 St Jude Place, Memphis, TN 38105.